Lost Girl by Adam Nevill. 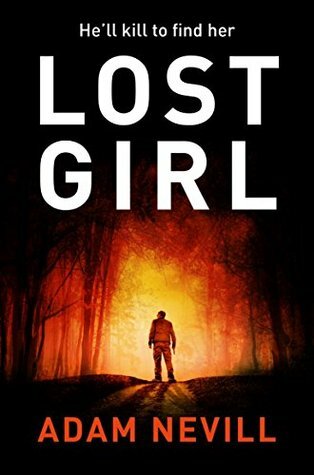 More futuristic thriller than horror, Lost Girl by Adam Nevill is an image of how life could be in the not so distant future. Set in 2053, ‘the father’ who annoyingly never has a name is trying to find his young daughter who was abducted from their garden two years earlier. The world is everything that our media warns us about. Extreme weather, disease, lack of food and over population has destroyed everything that is taken for granted. I found it at times quite difficult to read. I didn’t like that the father never had a name, I thought it made him soulless. Although part of me thinks that it was like this because he could be any father searching for his child. There were not that many characters in the novel but two who appealed more than any of the others were Scarlett and Oleg. Still not likeable as such, but I felt they were stronger because they showed emotion and regret. There were a few times when I was tempted to put the novel to one side but the appearance of Oleg made me much more interested in reading and finishing the novel. I feel that this novel is an indication of how this world needs to change to make the future better. Much more preferable to be kept as fiction and not fact.